Home Article Alex Pettyfer and Girlfriend Marloes Horst are Rumored to be Engaged; Find out all the details of the Couple's Relationship here!! Alex Pettyfer and Girlfriend Marloes Horst are Rumored to be Engaged; Find out all the details of the Couple's Relationship here!! "Sometimes love deserves a second chance," Alex Pettyfer and Marloes Horst after breaking up in 2016 rekindled their romance in early 2017, and it seems like this time the couple is quite serious about each other. There are rumors that the duo is engaged and they might get married soon. Is the news true? Are they ready to be a husband and wife? We have all the exclusive information here!!! Alex Pettyfer And Girlfriend Marloes Horst Are Engaged To Be Married: Is This True? It was love at first sight for Alex Pettyfer and his girlfriend, Marloes Horst when they met each other through a mutual friend back in 2014. Soon after some time, they announced their relationship at the Coachella music festival. Everything was going pretty good, but then in March 2016, Alex dropped a big bombshell when he announced he and Marloes are no longer dating. The actor stated the decision was amicable and the reason was their busy schedule. "I wouldn't normally do this as I like to keep my life private. Despite what may be written, Marloes and I split due to her being a crazy hot supermodel and her and my work just keeping us apart." "Despite what some papers may say, Alex and I split due to our busy schedules. It's saddening to read these negative articles since we are close and love each other dearly! So we took it into our own hands to say it was a mutual decision, we are best friends and will always remain each other's family. #loveisalwaystheanswer." But the actor also hinted they remain good friends and respect her a lot. While we all thought we are not going to see the adorable duo together ever again, both Alex and Marloes surprised all us with big news. The pair decided to rekindle their relationship. In March 2017, paparazzi spotted the couple walking together at Beverly Hills street. And even after some time, we saw a diamond ring on Marloes finger which led many people to believe they are now engaged. While the pair has not revealed anything about their engagement yet, we soon hope for them to come out with big news. Alex was in a relationship with a lot of big celebrities in his past. His first public romance was with actress Emma Roberts. They dated from 2007-2008. Then in 2009, he dated actress Emily. After breaking up with her, he was dating Dianna Agron from 2010 to 2011. He was also dating Riley Keough from 2011 to 2013. As of now, he is blissfully dating model Marloes. Born on 10 April 1990 (age 27), in Stevenage, Hertfordshire, England. 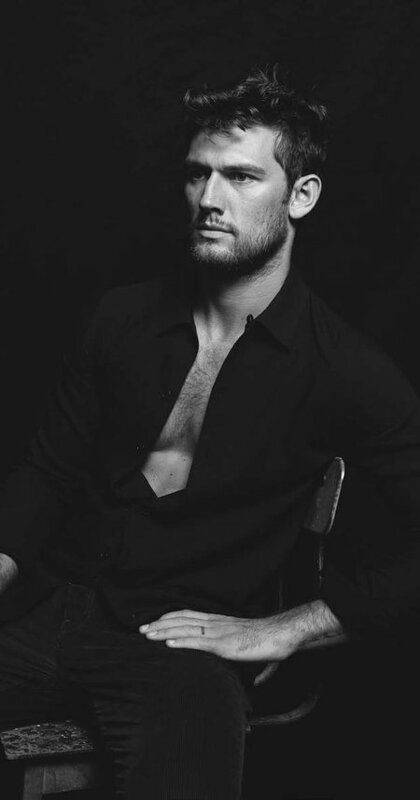 He is the son of Lee Ireland and Richard Pettyfer. He started his career at the age of six as a model. He also enacted in various plays like The Adventures of Robin Hood and Charlie and the Chocolate Factory. He made his pro debut in the series, Tom Brown's Schooldays. He is famous for his role in Magic Mike and Endless Love. His net worth is $3.5 million.